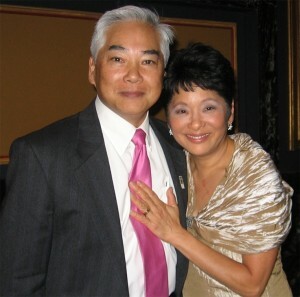 SEATTLE — Kip Tokuda, a former state lawmaker and community activist, has died unexpectedly at the age of 66. KING5, the NBC affiliate in Seattle, quotes authorities in Island County as saying that Tokuda suffered a heart attack Saturday while fishing on Whidbey Island. Witnesses tried to resuscitate him but were unsuccessful. Tokuda, a Democrat, represented Seattle’s 37th Legislative District in the state House of Representatives from 1994 to 2002 and recently retired as head of Seattle’s Family and Youth Services Division. Last March, Seattle Mayor Mike McGinn appointed him to the Seattle Community Police Commission. Tokuda was a founder of the Japanese Cultural and Community Center of Washington and the Asian Pacific Islander Community Leadership Foundation, participated in the Japanese American Leadership Delegation to Japan in 2003, and received the Order of the Rising Sun, Gold Rays in 2012 for contributing to U.S.-Japan relations. Born in 1946, Tokuda came from a well-known family that ran Tokuda Pharmacy for decades. He graduated from Cleveland High School and the University of Washington, where he received his MSW in 1969. His activism was inspired in part by the fact that his parents were interned during World War II. Washington Gov. Jay Inslee said in a statement, “Trudi and I grieve today with Kip Tokuda’s family, friends and the many people he helped in a lifetime of selfless community service. “Kip had a deep commitment to Washington’s Japanese American community – a commitment to justice born from the injustice his family faced. He never wavered in his drive to bring fairness to all members of our society. That was his passion and his profession, whether as a state lawmaker, heading Seattle’s Family and Youth Services Division or as a member of Seattle’s Community Police Commission. McGinn said, “The City of Seattle has lost a true leader … For decades in Seattle and Olympia he was steadfast in his work for racial justice, for the disadvantaged, and for our youth. He was an inspiration and mentor to many in the community, including me. “With his cheerful insistence on doing what was right, he pitched in to guide my transition to mayor, serve as interim Human Services Department director, develop new Seattle Police Department recruitment policies, and serve on our newly formed Community Police Commission. King County Executive Dow Constantine said, “I am shocked and saddened to learn of the sudden passing of former state representative and community leader Kip Tokuda. “Kip was a respected colleague and mentor during my service in the State Legislature. He devoted his career to improving the lives of our region’s children and families. We have lost a dedicated public servant, a visionary leader and pioneer for the Asian American community, and devoted husband, father, brother, and son. Constantine has ordered the flags at all King County facilities to be lowered to half-staff on the day of the memorial service. The Seattle City Council said in a statement, “Kip Tokuda devoted his entire professional career to advancing the well-being of Washington’s children, and worked as a champion for families everywhere. “Inspired by his own good fortune, Kip’s commitment to community, issues of social justice and looking out for our littlest learners was unmatched. He was known for doing what was right, and pursued policies, programs and budgets that unequivocally helped our city’s kids — and future generations — to flourish. “As a legislator, Kip represented the 37th District, serving four terms in the House of Representatives, during which time he advocated for those with developmental disabilities and was paramount to the passage of a ‘Special Needs Adoption’ bill. As director of our city’s Human Services Department’s Family and Youth Services Division, Kip worked diligently to address the complicated issues surrounding homeless children, foster care and abuse prevention. More recently, he joined the Community Police Commission and partnered with Seattle Police to assist in the development of a more diverse officer recruitment process, a program of which he was quite proud. Tokuda is survived by his wife, Barbara Lui; daughters Molly Tokuda and Pei-Ming Tokuda; mother, Tama Tokuda, brother, Floyd Tokuda, and sister, Valerie Chin, all of Seattle; sister Wendy Tokuda of Oakland; and sister Marilyn Tokuda of Los Angeles. A public memorial service is set for Sunday, July 21, at 2 p.m. at Kane Hall on the University of Washington campus. The family has set up a “Remembering Kip Tokuda” page on Facebook for messages and photos.